When I first started my personal finance blog Budget and the Beach, I felt pretty embarrassed and ashamed of the careless spending I had done in the past. I was also embarrassed by my money struggles after I was laid off from my full-time job of eight years and started freelancing — so much so that I was anonymous about my blogging for almost nine months. As I started getting my financial life in order, I started coming out of the “blog closet” more and more to real friends, and as I did so, I realized that a lot of friends had financial struggles or concerns of their own. Sharing my stories might actually help people out there either not feel so alone, or to actually give them the ability to learn from my mistakes. I had this very conversation with my former boss at my last full-time job at Vivendi Games. He candidly discussed how he doesn’t have much at all in his retirement savings, and he is already 66 years old! 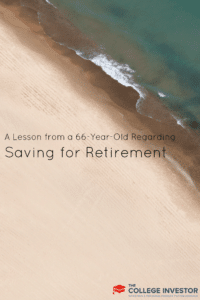 I asked if I could interview him about what led to his lack of savings, in hopes that he could convince younger people that you need to start saving now, and how even when life throws you curveballs, it’s still important to find a way to try and save for retirement. I want to thank him for being so open, honest, and willing to share his story, and I hope that this motivates some people out there to get their finances in order! Will you share with me what your net worth is right now? Jim: Embarrassingly, I have virtually nothing saved, as my retirement plan eventually was based on investing in real estate (two properties) and that failed miserably in 2010. What is your work history? 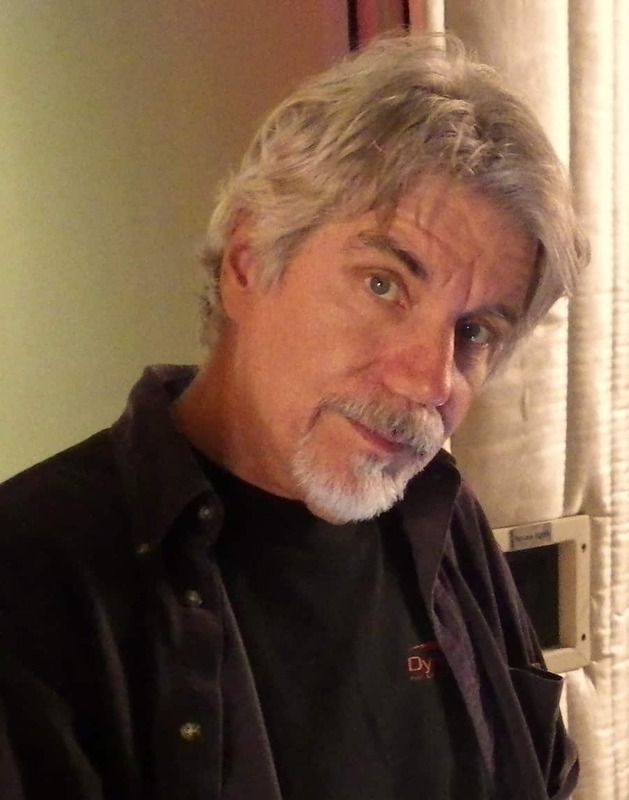 Jim: After four years in the Air Force, and wandering aimlessly for a few years in the late sixties and early seventies, I went to the Academy of Music with the hope of settling into a music career. One of my pipe dreams was to write the screenplay and music for a jazz musical. A working screenwriter friend of mine got tired of me pestering him for advice on the screenplay, and suggested I go back to the local college and take whatever filmmaking courses they offered. As soon I got behind the camera, I knew that was the career direction I should take. Two years later I moved my family to the Los Angeles area, and was soon making a good living in that field. I enjoyed fifteen successful years in the Los Angeles film and TV industry, producing, directing and/or editing TV shows, industrial and corporate films, PBS and cable documentaries, and commercials. I was also a manager for four years in the corporate communications department of Hughes Aircraft, but left in 1987 to set up a small but successful media production company. An opportunity to work on video games presented itself in 1995. I joined Sierra Entertainment and stayed essentially with the same company (through several mergers, acquisitions, and name changes) until 2012. During those years I built and managed four successful video/media production studios at Dynamix in Oregon, Sierra’s headquarters in Seattle, Vivendi Games in Los Angeles, and finally at Radical Entertainment, a division of Activision, in Vancouver, BC. Where are you now in your career? Jim: Radical Entertainment was shut down in 2012, and I was laid off with the rest of my teammates. I am currently working as an independent producer/director taking contract jobs, but have plans to start a small production company (like the one I had from 1987–1995). Jim: I plan on working full-time for at least five more years and probably longer. Luckily I love the work, and I find myself in very good health, so the desire to stop working does not appeal to me. What age did you start saving for retirement, and what methods did you use (Roth IRA/401(k)/traditional IRA/etc.)? Jim: I was never serious about it until I joined Hughes Aircraft (age 34). They had a very good 401(k) plan, and I invested as much as possible. When I left the company in 1987, I rather foolishly cashed that in for start-up funds for my new production company. From 1987–1995, I did not put anything away for retirement. When I joined Sierra in 1995, I once again started up a 401(k). What challenges did you face while saving for retirement? What “life obstacles” got in the way of you saving? Jim: Half of my career I worked as an independent contractor, and did not have the relatively easy path a 401(k) offered. Did you ever dip into your retirement savings for things that you could — or should — have used another kind of savings account for (for example an account for a down payment on a house)? Jim: As mentioned before, I cashed in my 401(k) for funds to start a media production company. In 2007 when I began working in Vancouver, BC, my wife and I bought what was supposed to be good retirement investments in real estate (our home in Blaine, WA, and a beach/vacation home in Ocean Shores, WA). I cashed in a sizable portion of the 401(k) for down payments. By 2010 the main house was falling further underwater and I had to withdraw the remainder of that 401(k) to avoid a short sale of that property — so much for our grand plan. How do you plan on getting back on track? Jim: Not so sure I can get back on track at this point. I do have about $2,100 per month already coming in from Social Security. If good work comes, I plan on setting aside as much as possible. Not much of a plan. Jim: Not touched my 401(k) plans, and making sure they were maximized when offered. I also should have had my own IRA as well, and the discipline to stay on a budget to facilitate contributing to it. What advice do you have for young people who are just starting out in their career and in life? Jim: Read up about investments. Realize that retirement age comes a lot faster than you will expect. Find and consult with a financial adviser and take their advice. Make a realistic budget and stick to it. Don’t plan on making a “big score” to make up for the lack of retirement savings. I find it interesting that talking about this relieves some built up tension and anxiety over my current financial situation. I am certain I am not alone with my particular circumstance. Part of the problem my whole life has been the reluctance to talk honestly about finances. Young people should be encouraged to get over that and find someone financially savvy to discuss their current and projected finances honestly. What do you think of Jim’s story? Are you on track to retire financially healthy, or are you a late bloomer trying to catch up? Tonya is a video editor and writer living in Los Angeles. She chronicles her journey of becoming financially independent, and navigating the rocky waters of freelancing in her personal finance blog Budget & the Beach. You can follow her on twitter at @beachbudget. That’s great Daisy! It must feel great to be on the right track! I like your attitude Daisy, good luck and keep at it. Thanks for being so willing to share your story. It was definitely brave, and I think it will help others to be more open about financial struggles! Brave now perhaps, but a bit foolish earlier. Thanks for your kind words. This is a very eye-opening interview. When you read the answers, it’s not like any one event really made Jim not have any retirement savings, but it was all of the events put together. I think that’s a good lesson that I took from the interview. Thank you for being honest! I can relate to the freelancing and not having a 401k dilemma! I really miss that from my full time job! If it can help someone else, including my children and grandchildren, then this makes it worthwhile. And you are so right, you cannot predict what might happen, but you can plan for the worst. Take care. Good message! Many PF bloggers have preached this for years, but reality is the strongest message. Many will feel that it won’t happen to them, but it can and will, if you do not take deliberate steps to avoid it. I think when people are young they think that life happens in sort of a straight path, but as someone who is 42 I know for sure life has thrown me and many people I know curve balls. Health issues, divorce…all play into it and can affect saving for retirement. Exactly right, it can and did. Thanks for your comment. That has become a sickness, I think. We already know it’s gonna happen to us because we’re not doing the right thing (which is saving) but we still do it. A sad thing about life. Luckily this sickness has a cure Marissa. Thanks for sharing your story with us Jim! I know there are a lot of people out there in his situation and I’m sure this adds a bit of comfort to those who are. Have a great day! Thanks Joshua. I was a little nervous, but had trust in Tonya. I do feel better for coming clean. That kind of honesty deserves applause and gratitude. Real life lessons there. Thank you for sharing what must be a rather painful truth. I really wish more parents and grandparents were more open/honest/transparent with younger generations ’cause they sure could spare them some pain by being honest and losing the pride. My pleasure, albeit squeamish still about talking about it. it does feel better to speak about it. There are lots of people at retirement age with little or no savings. It isn’t ideal, but $2100 a month in Social Security could be enough if one doesn’t have any debts and has a low cost of living. This is true Andy, and I have the government to thank for at least that. I also have a skill set much in demand and no plans to retire anytime soon so it’s not so bad (yet ha ha ). And I don’t need a lot these days to be happy, I can make do. That said, having money for travel and family would have been even better. Thank you Chuck, wish you had been my banker early in my career. i do hope this might help someone else stay on track. Thank you for your courage and bravery! It’s so important to get a wide spectrum of life stories. I don’t think you are alone in this, and many people are not prepared for retirement. I half jokingly think I will never retire, but as of now, put in $50/mo, which is all I can really afford given my debt load. Great idea Dear Debt, you have no idea how much you will appreciate what you are doing when the time comes. Very important to understand, as you do, that sacrificing now – on a regular basis, no matter how small, will pay off enormously later. Keep up the good work, and thank you for your kind words. I appreciate you sharing this inspiring story of your life, Jim. I’m pretty sure among all of us who’ve had the chance to read this, I wasn’t the only one that’s learned a lot from it. You’re so welcome Marissa, i do hope this interview has been helpful in encouraging everyone to take an honest look at where their finances are, and where they will be (or can be) with the proper attention (and relatively minor sacrifice).